Netflix have released data that shows which Star Trek episodes have been viewed most on the streaming service. With every episode of every existing show (save for the '70s animated series) currently available to stream, and Star Trek: Discovery arriving on September 25th, Netflix has become the home of Star Trek. With today marking the 51st anniversary of Star Trek's 1966 debut, Netflix UK have released some statistics regarding how Trekkies are watching their favourite franchise. To watch every episode would take you a mammoth 526 hours, equal to 22 days, but 117 subscribers in the UK and Ireland have managed to make their way through the entire back catalogue. The pilot episodes are unsurprisingly the most watched of each Trek show - The Original Series, The Next Generation, Deep Space Nine, Voyager and Enterprise - but the results of which non-pilot episodes have been rewatched across Netflix worldwide the most are quite surprising. While the original '60s series is considered the most revered, there isn't a single episode featuring Kirk and co. in the top 10. 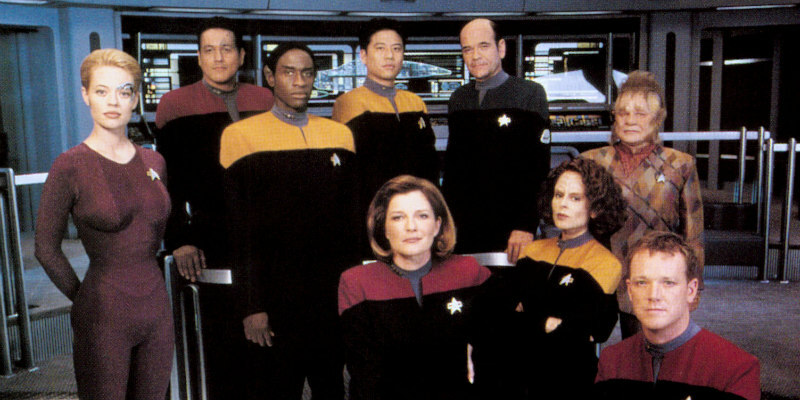 It's no surprise to see The Next Generation heavily represented, but Voyager taking up six spots, including top spot for the Season 7 finale Endgame? Ask any Trekkie and they'll likely tell you Voyager is their least favourite series, but it seems Netflix subscribers disagree. There's no room for either Deep Space Nine, which many Trekkies consider superior to TNG, or Enterprise in the Top 10.